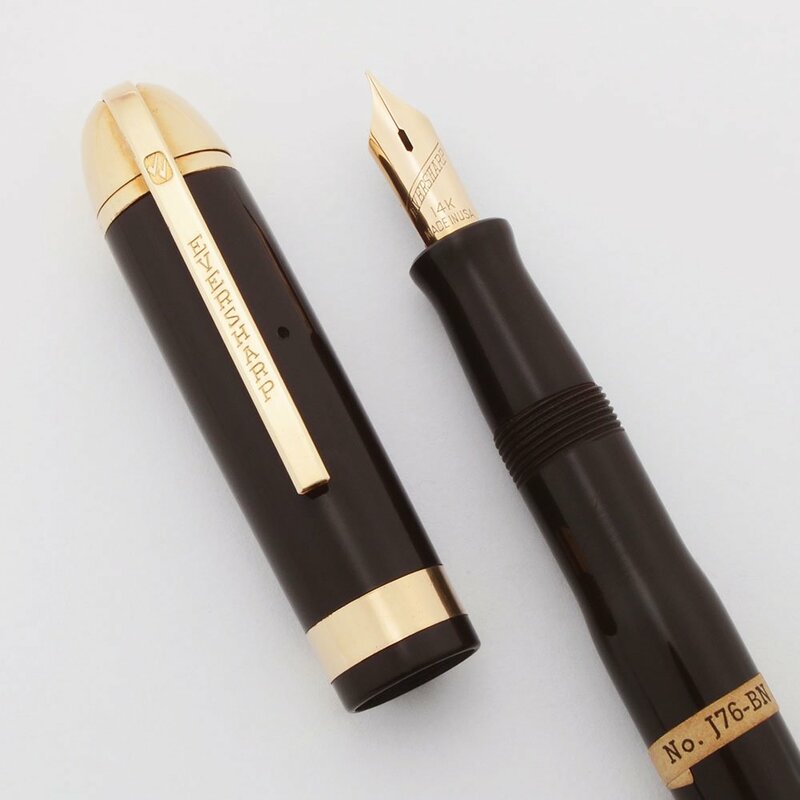 Eversharp Skyline fountain pen and mechanical pencil with dark brown bodies and 14k gold filled trim. They both have uncommon wide plain cap bands and gold derbies. The fountain pen has a 14k manifold fine nib and the mechanical pencil takes "thick" or 1.1mm leads. 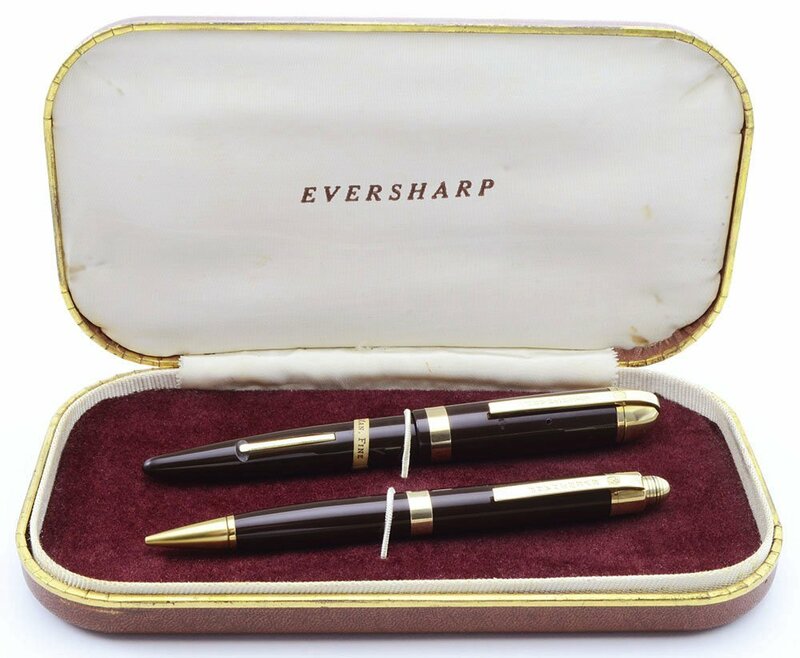 They ship in an Eversharp box together and are in superior restored condition. Product Name Skyline Demi. This is one of the upgraded versions with gold derbies and wider cap bands. Length The fountain pen measures 4-13/16" and the pencil measures 4-5/8". These are the demi size. Color Dark brown barrels, sections and caps. . 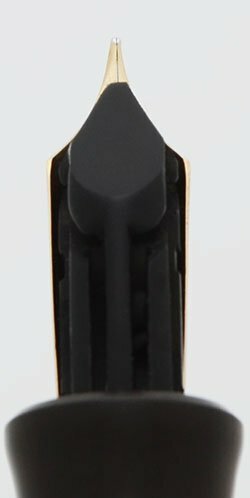 The cap derbies are gold filled and the caps have a 3/16" wide plain cap band. 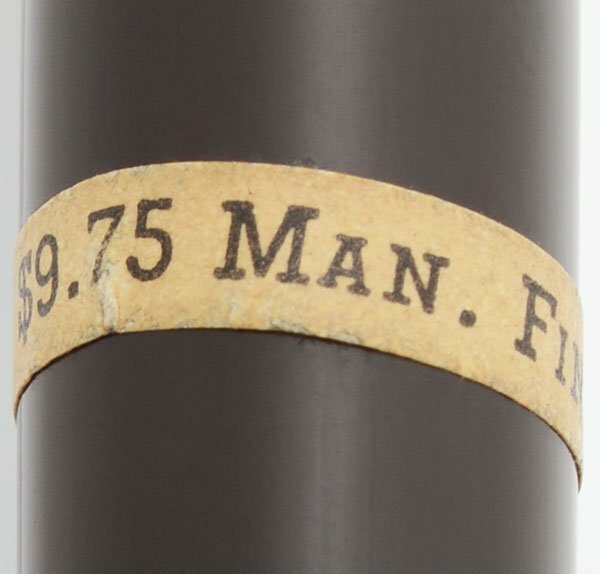 The fountain pen barrel includes the original paper price band showing Man. Fine for the nib size. Nib MANIFOLD FINE 14k nib. Condition This set is in superior condition and looks beautiful resting in the original brown leather Eversharp box that is lined with burgundy felt. 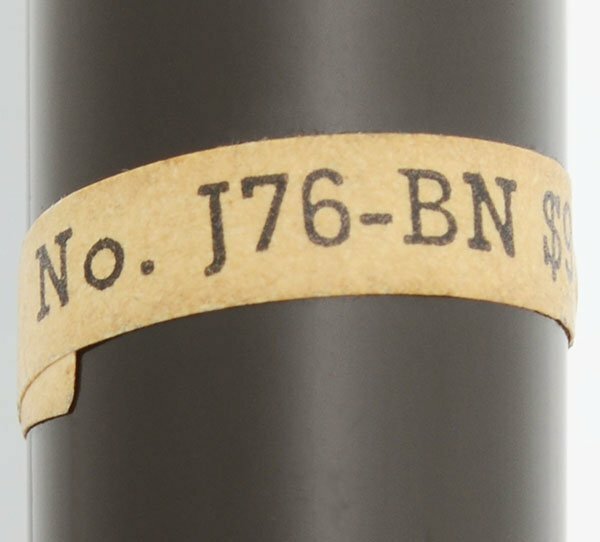 The fountain pen barrel has some light signs of usage, as well as light horizontal scratch lines where the cap fits over it, and some fine scratches below the original paper price band. The lever has some plating wear along the right side. The cap and trim are beautiful. The mechanical pencil is in superior condition; it is nearly perfect with just a little microscratching on the barrel. The pencil mechanism works very well. No cracks, major scratches, dents, dings, or personalization.